The Office of Management and Budget has designated the CIO-SP3 IDIQ as a Best-In-Class (BIC) contract vehicle. BIC contracts such as CIO-SP3: 1) reduce the amount of effort Government buyers spend finding and researching acquisition solutions, 2) leverage volume discounts, 3) reduce administrative costs, and 4) share Government-wide buying data which leads to better-informed business decisions. gTANGIBLE Corporation has been awarded…. CIO-SP3 Small Business GWAC - The Chief Information Officer–Solutions and Partners 3 (CIO-SP3) Small Business Government-Wide Acquisition Contract (GWAC) is a ten (10) year Indefinite Delivery/Indefinite Quantity (IDIQ) contract. This contract is intended to provide information technology (IT) solutions and services as defined in FAR 2.101(b) and further clarified in the Clinger-Cohen Act of 1996. These IT solutions and services include, but are not limited to, health and biomedical-related IT services to meet scientific, health, administrative, operational, managerial, and information management requirements. The contract also contains general IT services partly because medical systems are increasingly integrated within a broader IT architecture, requiring a systems approach to their implementation and a sound infrastructure for their operation. 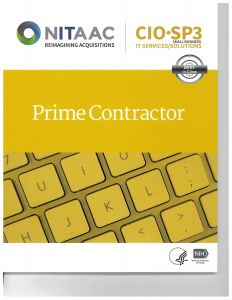 We have exceptional past performance and provide/have provided similar IT and technical services on multiple prime contracts for the Federal Government including HHS/NIH, DoD: USAF, USN, and US Army National Guard; DHS, USCG, and USDA. We have also performed as Tier-One subcontractor for the DoS, Intelligence Community/NRO, DHS, USN, and USAF. We are capable and can support all Civil Agencies, DoD, DHS, and the IC using our CIO-SP2 Small Business (SDVOSB Group) contract. We internally developed and implement a Program Management (PM) Tool Set for our Federal Government contracts. We utilize and tailor the PM Tool set for all customer’s contracts. Our CAGE Code is 5ST11. We have an FSO and Alternate FSO dedicated to our contracts that required cleared personnel. We support cleared contracts including Secret, TS, TS/SCI and TS/SCI on Special Access Programs (SAPs). gTANGIBLE has a Defense Contract Audit Agency (DCAA) approved accounting system. This enables us to perform on Cost Plus contracts. We are financially sound and debt free. We utilize tangible processes and procedures to achieve the highest levels of quality that are in accordance with our ISO 9001:2015 program. 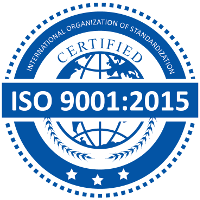 gTANGIBLE is ISO 9001:2015 Certified. Capable and experienced providing services and travel both CONUS and OCONUS. Currently support travel for the US Navy (Pacific) and US Air Force contracts (Southwest Asia/CENTCOM AOR) and previously for Department of State contracts (United Arab Emirates) and the Caribbean (Haiti). We are well versed and experienced in compliance with OCONUS anti-terrorism force protection (AT/FP) travel requirements and have been supporting our contractors’ OCONUS travel since October of 2011. We have a current license to do business in the Islamic Republic of Afghanistan. CIO-SP3 Small Business (Group – SDVOSB) is available for and is a Best-In-Class acquisition vehicle for Department of Defense customers. Copyright © GTangible Corporation 2019. All rights reserved.